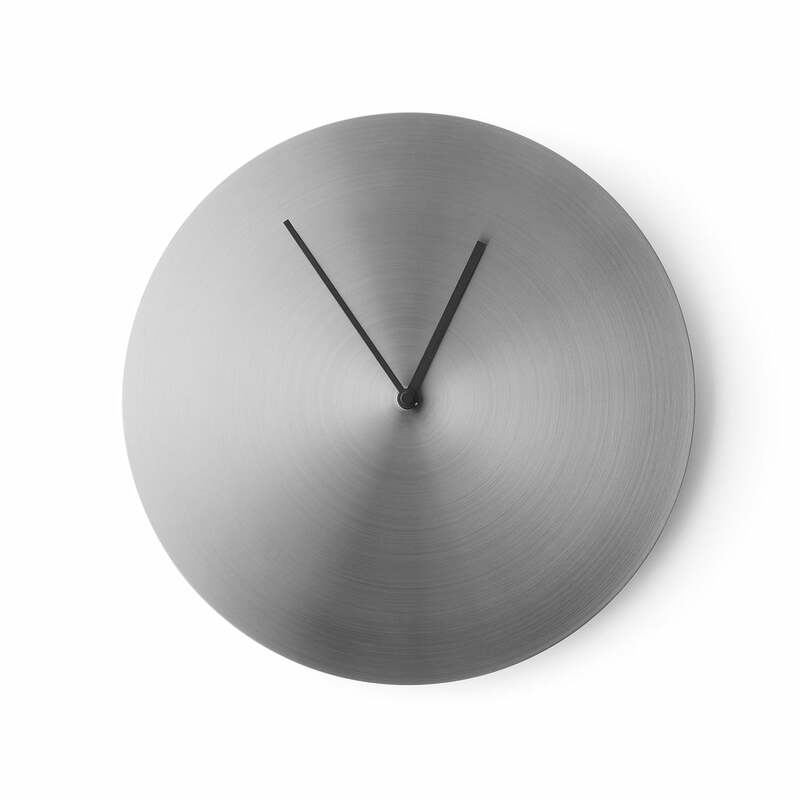 The Norm Wall Clock by Menu is a simple and elegant clock. 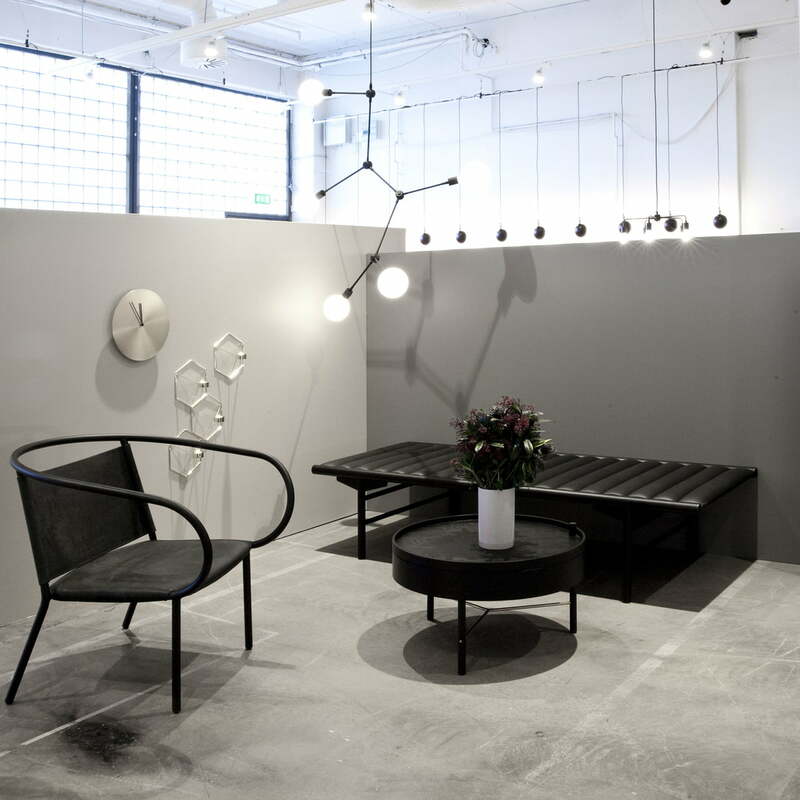 It is a creation of the Copenhagen based design studio Norm Architects. 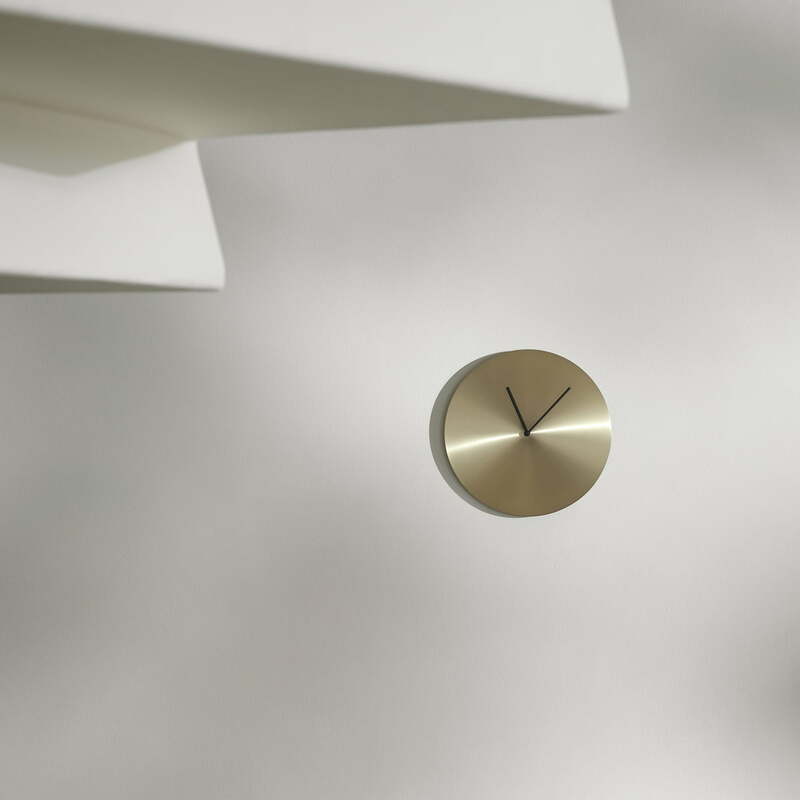 This version of the wall clock convinces with the naked clock face, which becomes an eye-catcher alone by the brushed surface of materials brass and stainless steel. Only the steely hands give the minimalist disc its function as a chronometer. The reduced design and omission of the irrelevant support the focus on the essential and thus create a minimalist look that is timeless, beautiful and sensual. 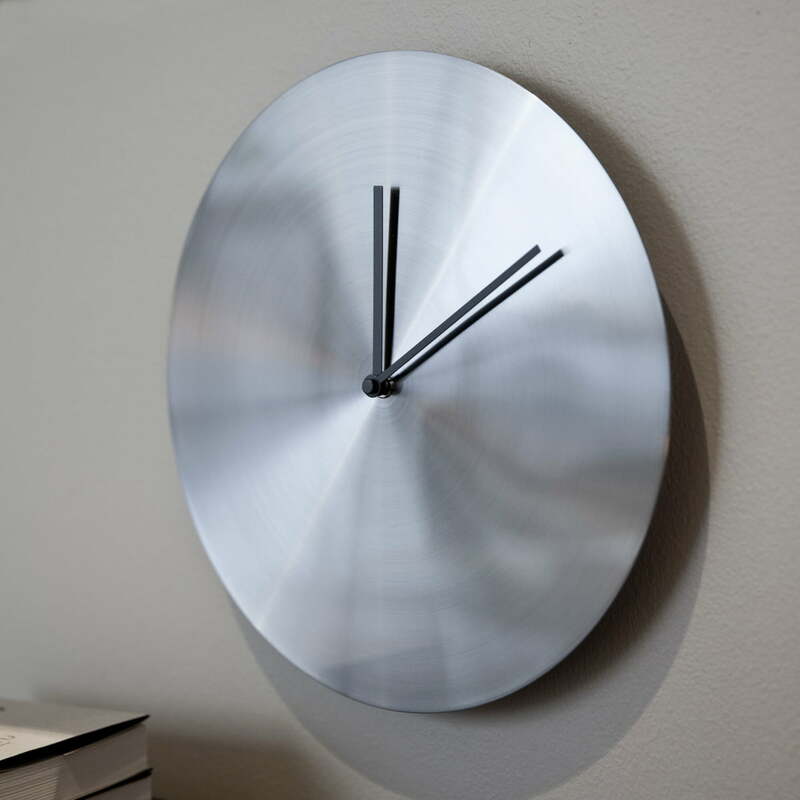 With this wall clock, Norm has created a home accessory that can be seen as a model of minimalist design. The simple elegance of Scandinavian style is clearly visible here. Single image of the Norm wall clock by the company Menu. 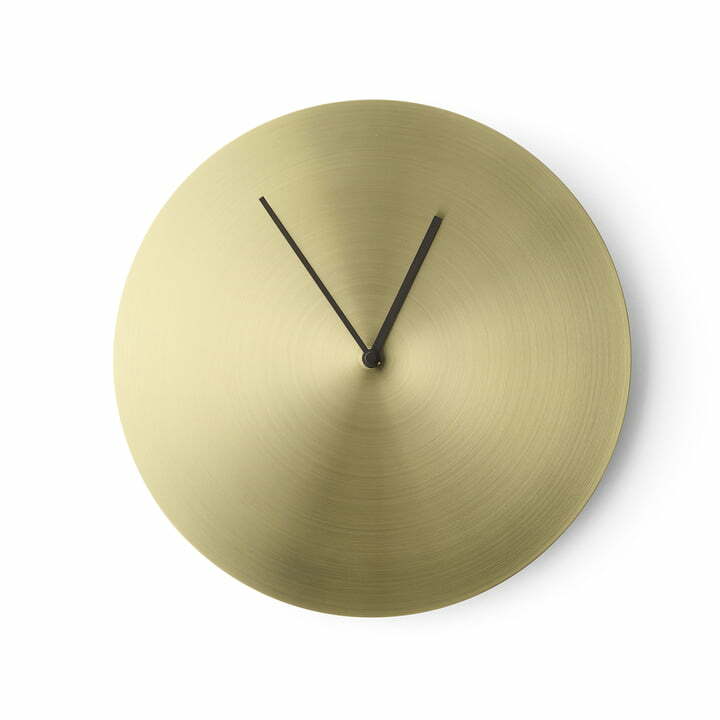 The brushed brass traces the round shape of the clock face and gives the clock a minimalist structure. Ambience image of the Norm wall clock. The wall clock blends in every room in a calm and restrained way and enriches your home with a Scandinavian design piece. Ambience image of the Norm wall clock. 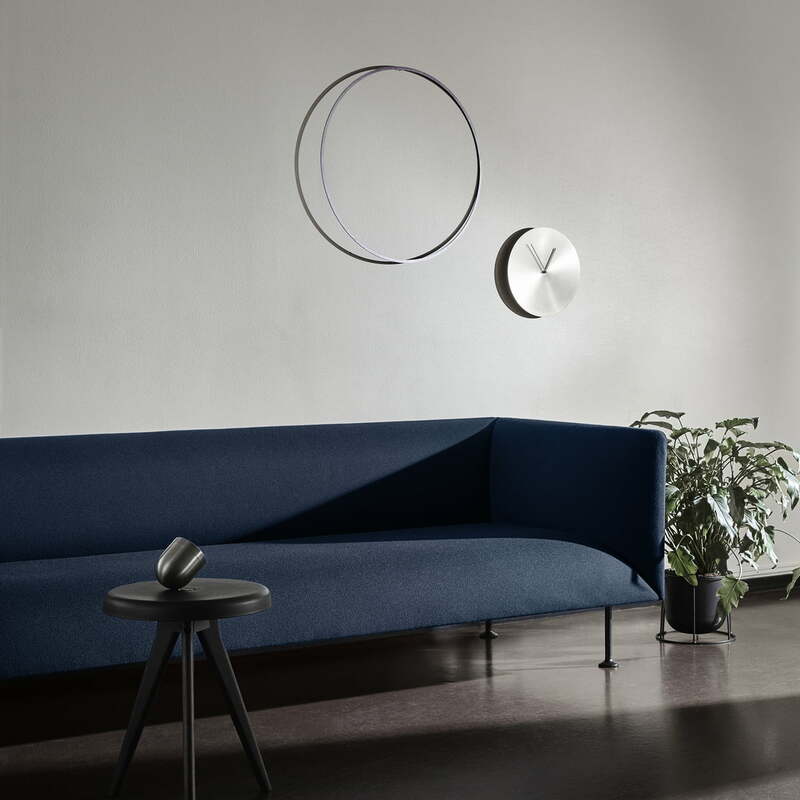 The wall clock created by the design studio Norm Architects presents itself with the simple design in a restrained and calm way.